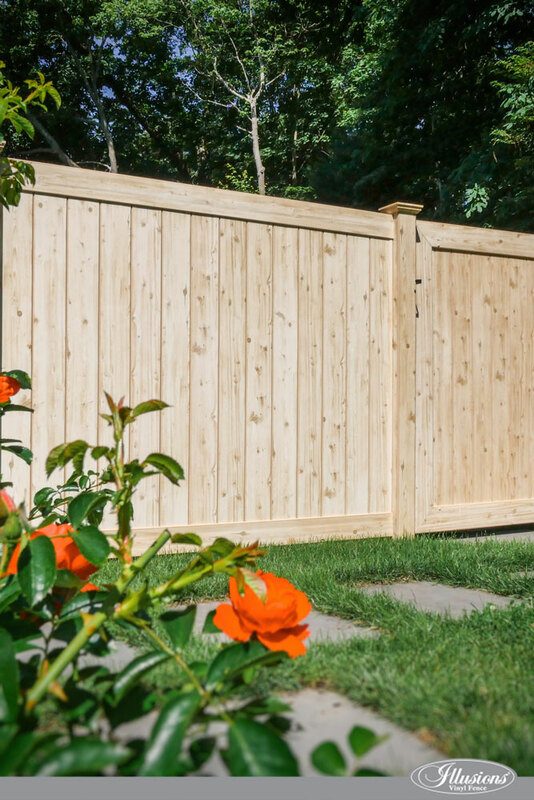 For a fencing option that is durable, strong and reliable – not to mention affordable – there is no better alternative than a wood fence. New Jersey Best creates wood fences that are oozing with old world charm; handcrafted in their facility. If you’re looking for a distinctive, creative style of high-quality wood fencing, look no further. The use of wood fencing around residential and business properties dates back many hundreds of years and is as popular today as ever. Why? Because it is affordable, lightweight, durable, versatile and probably the main reason, is that it’s attractive. Wood to can be transformed into any design you like and is used for privacy, to keep children and pets in, to keep pests and thieves out, to block the weather and to add value. these are designed to protect your home from wind and noise, along with creating privacy from your neighbors. these pointy topped fences are reminiscent of traditional homes you see in the movies. They are great for your front yard, gardens or your pool area. The pointy tops not only did to her unwanted guests but also prevent a rain and snow from getting into the wood. lattice fences look great in your garden, deck, pool or your patio area. They let the air in, allow for light to enter, but also provide you with privacy. these are ideal for large properties and livestock areas. They are cheap and easy to install, keeping your livestock where it needs to be – inside the property. 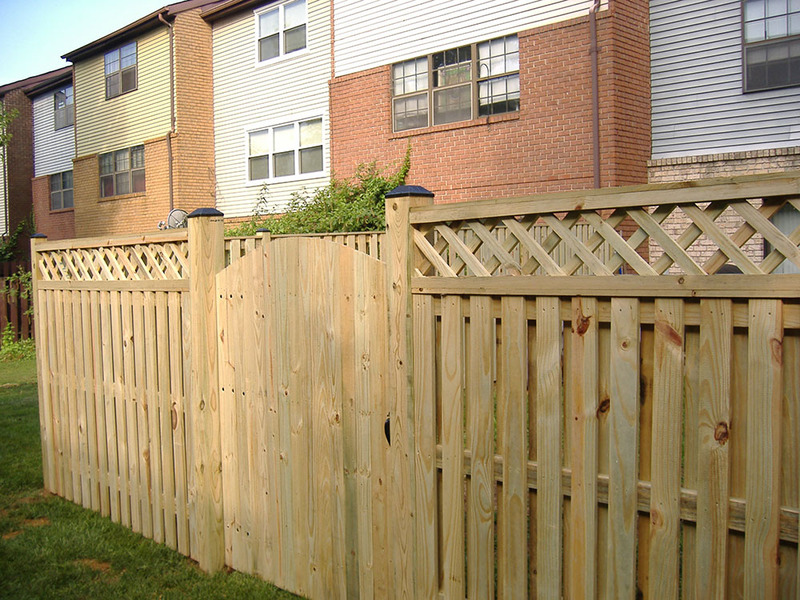 At New Jersey Best, we provide a range of wood fencing options. Our most popular type of wood is Eastern White Cedar. Eastern White Cedar is environmentally friendly and cost-effective. It is a soft word filled with natural oils that protect against insects, mold, moisture and rotting. Eastern White Cedar is also 100% biodegradable. There are also a number of other types of wood fence available including Southern Yellow Pine, Douglas Fir, Redwood, Cypress and Western Red Cedar. If you’d like to know more about any of these, chat with our friendly and experienced staff. wooden fences generally offer more privacy than other fence types. The slats are closer together so no one can see in, or out of the property. 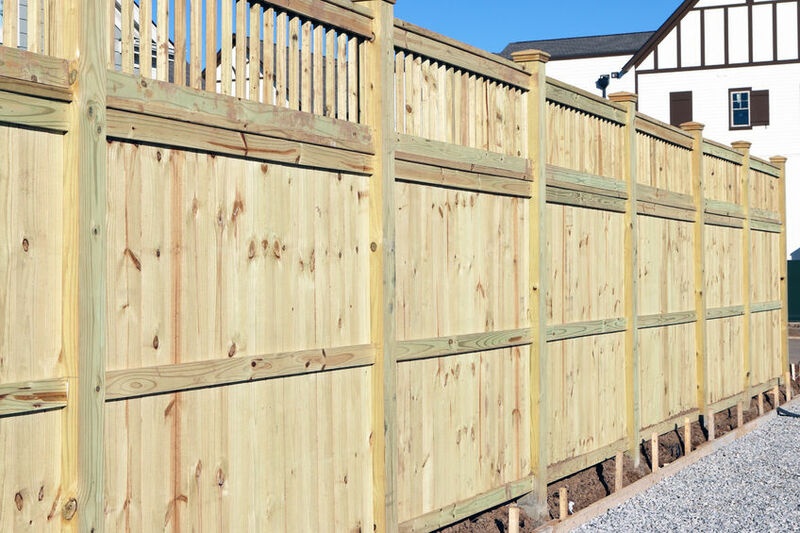 generally, timber fencing can last up to 40 years or longer provided you look after it. Only a little maintenance is required, depending on the type of fence you get. You may need to paint or stain it regularly so that it lasts longer. The type of wood you use will determine this. the options for design are endless when it comes to a wood fence. You can paint or stain at any color you like, and various types of wood will provide a different design to give you the look you love. if you are considering selling, the addition of a quality wood fence on your property is one of the easiest and most beneficial improvements you can make. Curb appeal and privacy are two of the major factors people consider when purchasing a property. the best thing about wooden fences is that they are affordable. Wood is not “just wood” and in fact, there are a number of different types of wood you might use for your fencing. Pine, cypress, and cedar are some of the most popular choices. Pine generally costs less, however, that is because it is of lower quality. Cedar and cypress are generally more durable and have a longer lifespan, particularly when used as picket fences. If you’re looking for something more eye-catching, you may consider redwood or fir. If you want your fence to last into the future, you need to protect it. This means not only painting or staining your wood but also using a waterproof sealant. Depending on your local weather conditions, sealants should generally be reapplied every 6 to 24 months. Take this into consideration when budgeting for your fence. You need to think about both the length, and the height of your fence. At New Jersey Best, we base our prices on a per linear foot. While longer fences will cost more in general, fences that are designed with an irregular shape may also cost more. Shorter fences will cost less than taller fences, so consider your full requirements. Most picket fences range between 6 feet and 8 feet in height. If you have a full fence around your property, you’re going to need gates. These gates don’t necessarily need to be made from wood, however, regardless of what they are built with, they will cost extra. You want your gates to be attractive, functional and you may like them to be decorative. The more complex your gate, the more it’s going to cost. If the look of your fencing is important, or you want to add value to your property, considering additional features is necessary. This could include things like latticework or fence toppers. Either of these options is going to cost you more. In general, expect to pay anywhere from $2 dollars per linear foot to $100 per linear foot for a standard picket fence, not including labor or additional features costs. Why choose us for your wood fencing? There are many benefits to a wood fence. Be sure to get the type of fence that meets your exact needs. At New Jersey Best, we have local knowledge and experience that is 2nd to none. This allows us to provide you with everything you need to ensure the security of your property. Our wood fences are available in all styles with matching or custom designed gates.